It took some soul searching to decide which place to share today - there are plenty of places, small ones and big ones, that I love - but in the end I decided to introduce you to the Tate. 'Introduce' may sound a bit grand. 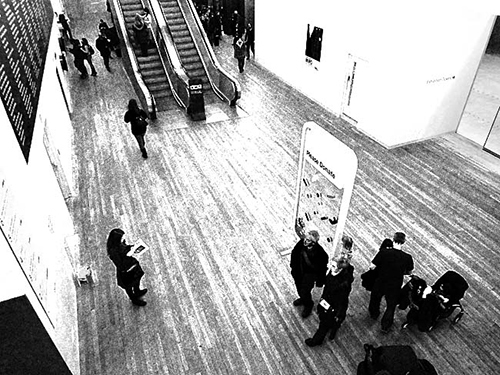 The Tate is after all quite a famous museum, and even people who have never been to London may have heard of it. 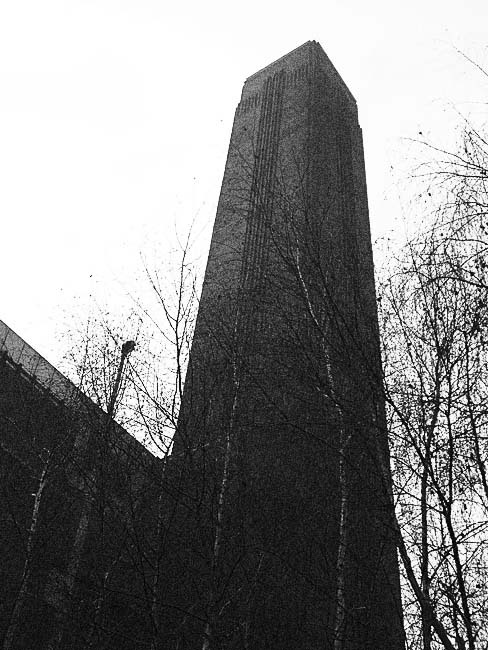 So I rephrase: I will tell you a little bit about why I like the Tate and what it means to me. 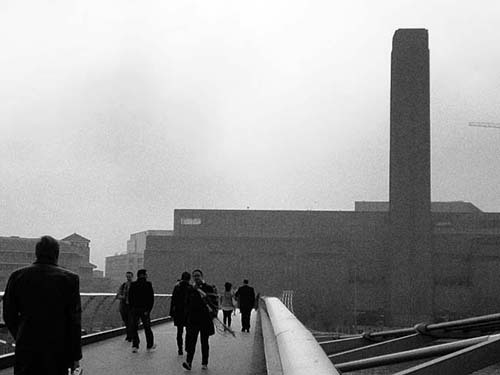 The Tate Modern is part of a family of four art museums in England: Tate Britain and Tate Modern here in London, and Tate Liverpool and Tate St Ives. 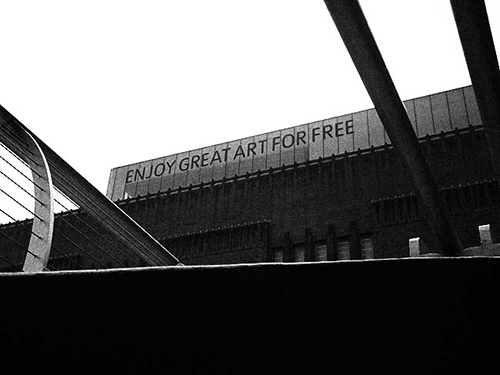 When I first moved to London about six years ago my boyfriend got me a Tate member card that, aside from letting me see the changing exhibitions for free as often as I wanted, gave me access to the member rooms. These are simply cafés, slightly tucked away, open for members only. 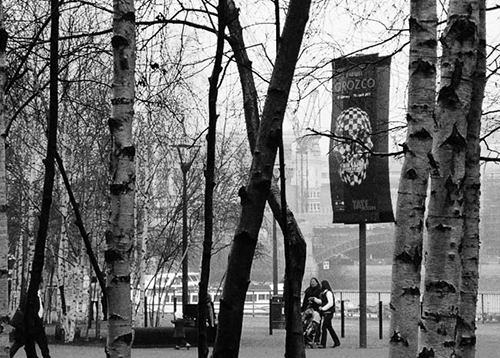 At a time when I didn't know anyone in London I spent many days wandering the exhibitions and sitting in those cafés contemplating my new life abroad, with all the excitement and fear that comes with taking such a big step. Over the years many things have changed, I have met plenty of people, gotten to know London well and at least for now I consider it my home. I renewed my member card many times and took many people to both Tates. But still, every time I go, be it alone or with someone, I am instantly transported back in time and reminded of the person I was when I first arrived. I love museums and museum cafés, for the variety of people you see, the snippets of conversations you catch, the multitude of languages you hear. I can spend hours flipping through a magazine, observing what goes on around me and letting my thoughts wander. But among all museums and museum cafés the Tate and its member rooms have a special meaning to me. They remind me of the start of an era, of dreams and fantasies, and of worries and fears.